CTV Calgary News came to visit the AstroDome on May 29, 2014. On that day, the planetarium was set up at Good Shepherd School, in Okotoks. This video appeared on the CTV Calgary News later that day. The planetarium went to Senator Gershaw School, in Bow Island, on May 30, 2016. 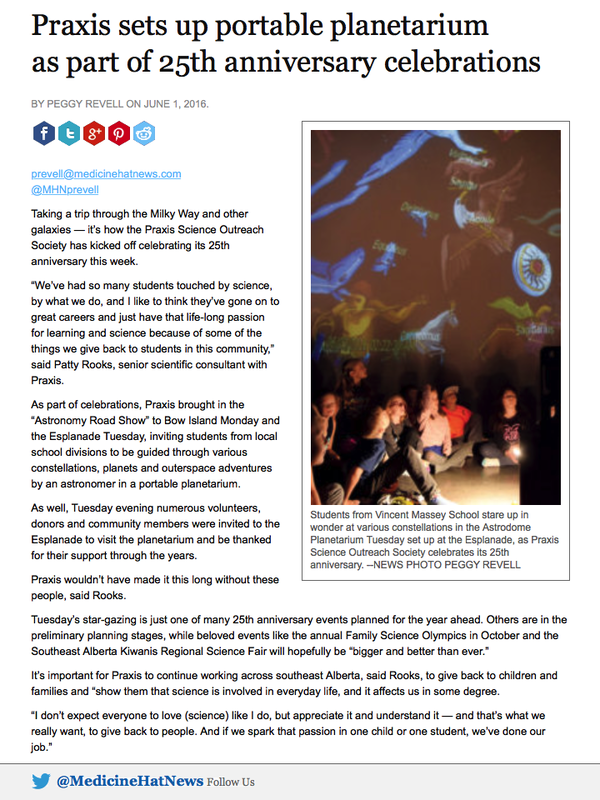 The next day it was set up in Medicine Hat to help Praxis celebrate it's 25th year of doing science outreach in southeastern Alberta. On that day, a reporter from the Medicine Hat News came to visit. The newspaper article located to the right appeared in print and online a day later. 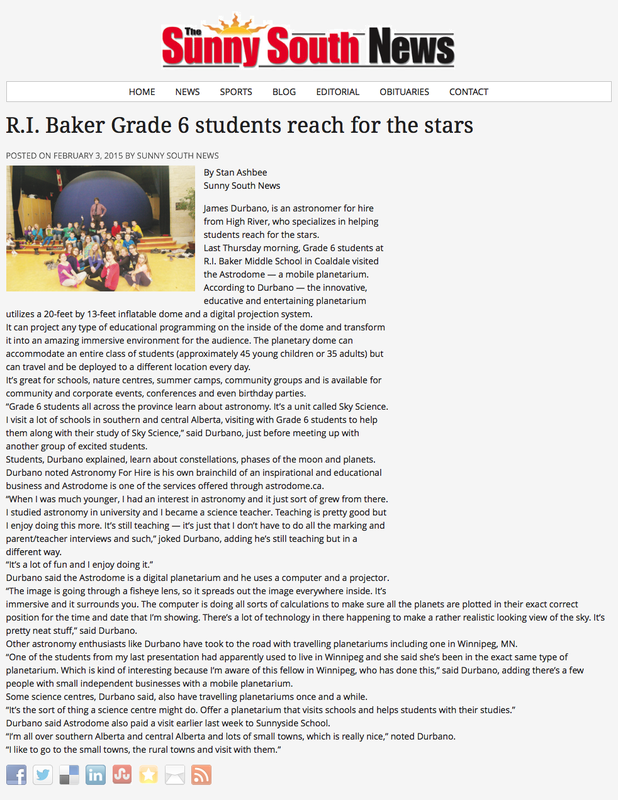 On January 29, 2015, the planetarium was in Coaldale, at R.I. Baker Middle School, when a reporter from the Sunny South News stopped by to visit. The newspaper article located to the left appeared in print and online the following week. Click on the PDF icon below to download the newspaper article or read it online.